Originally from Adelaide, Dr Amy graduated from her Masters of Chiropractic in 2005, secondary to her Health Science degree. She is a qualified fitness instructor, with a long sporting background, having played Tennis and competition Aerobics at both state and nationals. She is also a mother of 2 young and very energetic children (1 y/o and 11 y/o). Dr Amy Herreen (Sports Chiropractor) learned very quickly about the benefits of chiropractic care and how it helped to improve her performance, recovery and overall health during hard training in sport, competitions and the hardest of all – pregnancy and recovery from having children! 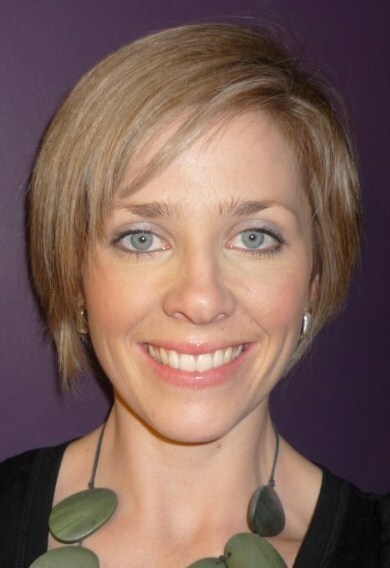 Over the last 13 years, Dr Amy has practiced as an associate chiropractor and also a locum (a fill in chiro), giving her a very unique opportunity to work with many different chiropractors, enabling her to learn their widely differing chiropractic methods and techniques. Since 2011, she has been running and operating practices of her own. She has been fortunate enough to have worked alongside AFL footballers, SASI cyclists, triathletes, world class golfers and had the luxury of running and operating a clinic within a gym of MMA fighters, cross-fitters and olympic lifters. On the odd occasion, Dr Amy has even been called to work backstage on high profile bands/performers and their crew. Her experience is wide and varied. Naturally, Dr Amy has developed a keen interest in both sports chiropractic, as well as pregnancy and paediatric-based chiropractic over time. Dr Amy is very passionate about natural health, fitness and overall wellness. She keeps updated on the latest research by attending regular seminars and events. She has completed postgraduate courses in Chiropractic Paediatrics and Pregnancy, Dry needling, Kinesio-taping (for musculo-skeletal conditions, training purposes, strength and balance) and Foot Levelers, the latter of which allows her to prescribe orthotics for the feet. Her understanding of the human body is quite diverse, which she puts into practice every day. Dr Amy is a member of both the CAA (Chiropractor’s Association of Australia) and SCA (Sports Chiropractic Australia), participating in regular professional development (through local and national seminars and by keeping updated on the latest research in the field). To book an appointment to see Dr Amy, please contact the team at Chiro Adelaide on 8231 0600 (Topham Mall) or click HERE to make an online booking.